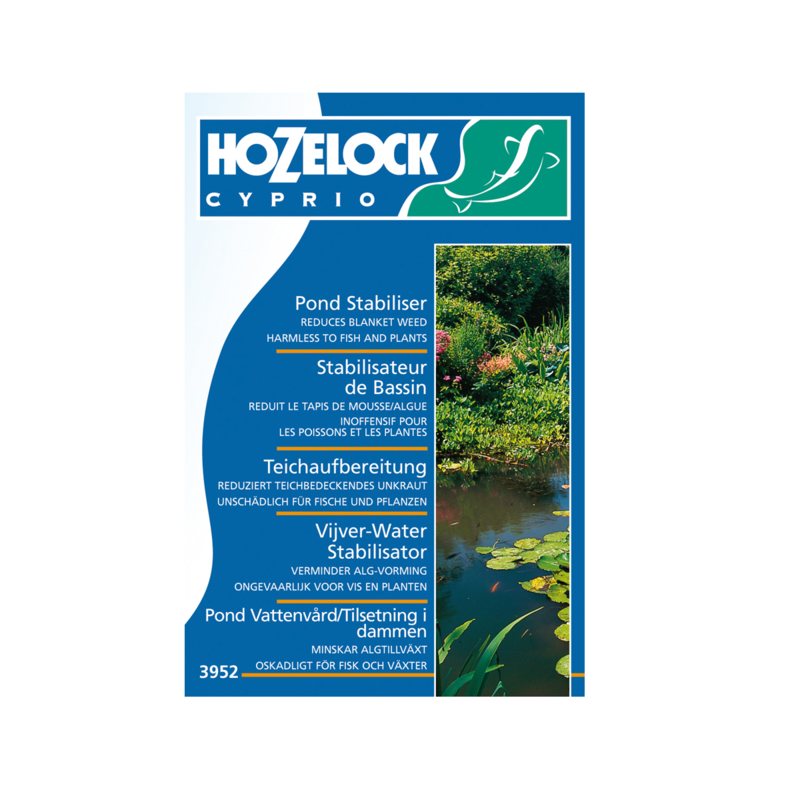 Hozelock Pond Stabiliser is an effective treatment for Blanketweed. 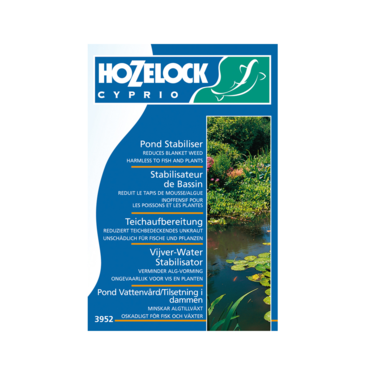 The Treatment has been designed to reduce the blanketweed in your pond. It gradually adjusts the pond water chemistry to make it more effective for plant growth while creating conditions that are unsuitable for blanketweed. The treatment is easy to use and can work in ponds up to 6810 Litres (1500 gallons). The treatment is also harmless to fish, pets and pond life so can be used with confidence in the pond. Simply add one scoop of treatment per 340 litres (75 Gallons) of water. Typically, to see results, repeat every 10 days for 1 month. However as the constituents of pond water can vary, it sometimes takes longer to see results.